The Missing Piece in Leadership brings common sense back to leadership in a simple and straightforward way that unlocks and releases tremendous untapped potential in your people. If you could greatly enhance your ability to solve even your biggest problems before you finish reading The Missing Piece in Leadership, what would be the personal benefits? The Missing Piece in Leadership is written for leaders who are doing their best at what they’ve been taught and still not getting the desired results. These leader’s days are often filled with stress and effort. 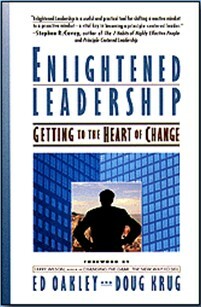 This book is not just another one about leadership. It provides a path for discovering and bringing out your own unique leadership competencies and qualities essential to sustain high-performance. 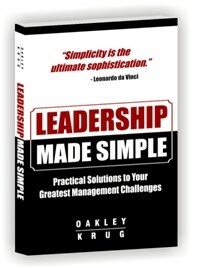 Leadership Made Simple reduces your greatest management challenges, often people issues, to the most simple and practical solutions. It captures and defines what the best leaders do naturally in a powerful Framework for Leadership. Practical, simple solutions are included for many management challenges, including: Getting critical projects back on track; Resolving conflict among people or cross-functional teams; Shifting resistance-to-change into whole-hearted commitment; Inspiring people and teams to dramatically higher performance levels; Getting all team members fully aligned with important objectives; Solving problems in creative, inspiring ways; Gaining buy-in and ownership for what needs to be done. This book provides over 40 real-world examples of how leaders and organizations have used the powerful Framework for Leadership introduced herein to solve these and many other of your greatest management challenges. This is the full and complete original book in both hardcover and softcover.